Providence College has no shortage of exceptional students, which is why we established a platform where we could let their accomplishments shine. Our Internship Spotlight series provides the perfect place for them to recount some of the most memorable aspects of their impressive internship experiences. From companies like L’Oreal to RXR Realty, the students of the PCSB transition from classroom to real world by taking what they’ve learned and applying it to their delegated roles. 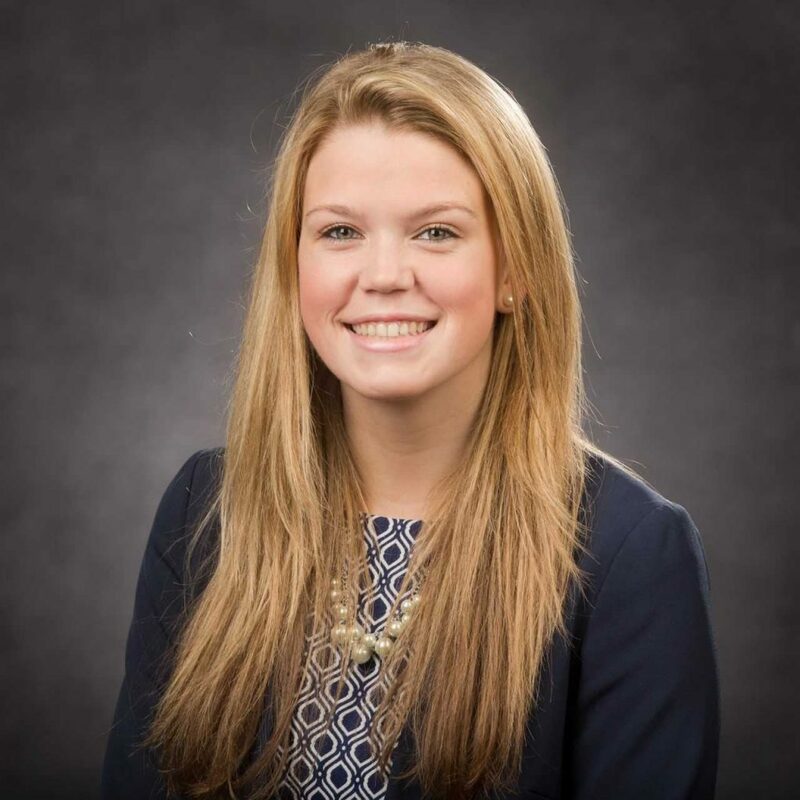 This week we are excited to introduce senior Abby White who interned for Ernst & Young last summer! I am an accounting major and economics minor. What was the culture like at Ernst and Young? For me, the culture was one of the many reasons that I chose Ernst & Young. Every encounter that I have had with someone has been very enjoyable. It has been easy to talk to everyone and they seem like they want to do the best they can to help me or guide me in the correct direction. The team I was on this summer was more than I could have asked for. It was a larger team, so I was able to work with many different people, and I felt comfortable going up to all of them and asking them questions when I was confused about something. Everyone worked hard, but there were still breaks during the day where we were able to take our minds off of the task at hand. One day we even did a dinner and team building activity after work, which gave everyone the opportunity to bond not being at work. I found that Ernst & Young has a very friendly, supportive and rewarding culture. Everyone wants to work together to make you the best that you can be. What did your average day look like? Did you have any projects that you had a particular interest in? My typical day varied while I was at my internship. Public accounting is a client serving industry, so throughout the year you are put on a few clients. The client I was on for my entire internship was a large public company, which allowed me to be exposed to a wide variety of concepts and tasks. About half the time I actually was at the client site. At the client the audit team sat in one room and worked on various parts of the audit. Every few hours, the team would come together to discuss the progress that was being made and what more should be started and tied together. Being at the client site allowed the audit team to talk to anyone in the company that they needed to. Even though every day was a little different, for the most part I worked on some sort of testing, including revenue and expenses. I also worked with shipping documents to determine shipping points and to make sure they were recorded in the correct quarter based upon the shipping terms. Being in the audit room was very interesting because everyone was able to bounce ideas off of one another very easily, and I was able to hear about other line items that I was not working on. When I was at the office, I usually did the same tasks; however, there were some exceptions. I usually met with my staff lead in the morning and she would tell me the agenda for the day and what I needed to complete. Some days I worked on testing, obtaining and organizing the new memos for the client, or looking at inventory counts for a number of warehouses of the client. Every day brought something new and that is what I loved about my internship. I rarely had any sort of down time, and I usually had about two to three tasks that were on my agenda to complete. I was able to work with a wide variety of people and employee levels, which showed me what responsibilities come with each position. Do you have any advice for underclassmen who might be looking for internships in the upcoming months? For public accounting jobs and internships, it is important to try to build a relationship with the recruiters and all of those representatives who come to campus. The Accounting Association brings in many companies, so my advice would be to go to as many information sessions as possible and see what you like about each company. Public accounting is a lot of time and work, so you want to pick a firm that you are going to be comfortable at. When you are interviewing for a position, it is important to be yourself and to be confident in what you are talking about and presenting to the employer. You want to remember that you are there to tell the interviewer about yourself, so make sure you are ready to describe all of your accomplishments in depth. Also, one aspect not to forget about is that you are in the interview to learn about the company too. You want to make sure it is a place that you want to work. When I was interviewing, I learned a lot more about EY, which showed me what a great company is and that it was a company I would like to work for. My biggest piece of advice is to start building a relationship with companies early and to be yourself when you are talking with them. This will get you very far! Interested in reading about more of our students’ internship experiences? Click here to see our other student features!